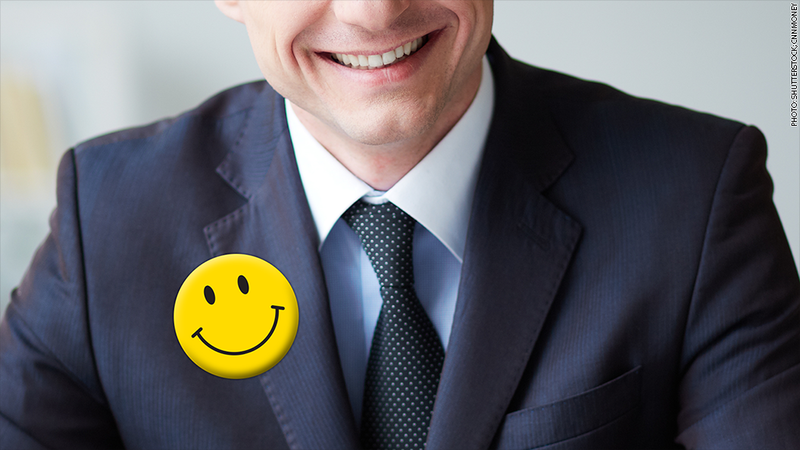 CEOs think that it's all good even though there are many concerns about the global economy. Europe's anemic economy. Ebola fears. ISIS wreaking havoc. The possibility of a hard landing in China. I spoke to several C-level executives during the past few weeks while companies were reporting their latest earnings. A common theme is that things in the United States are okay, despite all the volatility in the stock market and global macroeconomic/geopolitical concerns. Alexander "Sandy" Cutler, CEO of multinational industrial conglomerate Eaton (ETN), concedes that there's more to be concerned about economic conditions in other parts of the world. But he thinks American consumers will continue to spend. "The challenges now are not particularly new. Since we came out of recession, we've been dealing with slowing growth," said Cutler, who leads the S&P 500 company worth more than $32 billion. "But people in the U.S. are generally of a mindset that the U.S. economy is continuing to improve." He pointed to lower gas prices as a particularly good thing for the U.S. automotive industry since it should lead to a boom in truck sales by consumers and businesses. That would certainly help Eaton. Nearly 20% of its sales and operating profits come from its vehicle components division. Other executives said that the market volatility could have been a bigger problem if it lasted longer. Mark Barrenechea, CEO at Open Text (OTEX), a Waterloo, Ontario-based software company that is now the most valuable Canadian firm on the Nasdaq (sorry, BlackBerry (BBRY)!) said his firm did see some change in corporate tech spending patterns last quarter. But Barrenechea believes his customers are growing more confident again since it appears unlikely that any of the big macro issues will cause another global downturn like 2008. "The good news is that it is not structural. This is not another housing crisis," he said. At the end of the day, most executives said it's not healthy to worry about things you can't control. It's better to just focus on your own business and the competition. "Macro conditions are not something you can do much about. As long as you run your company in a fairly tight fashion, you should be okay," said John McAdam, CEO of networking security company F5 Networks (FFIV). McAdam said that even though there are things big businesses can worry about, now is not the time to just clamp down on spending because of fear of what may be next. In fact, his firm is benefiting from one of the larger threats facing many companies: cyberattacks. He said many businesses, particularly financial services firms, realize that they have to invest in security because the risk of not doing that outweighs worries about spending too much in a time of uncertainty. All that said, companies can't completely ignore the daily headlines either. Paul Reilly, CFO of technology component supplier Arrow Electronics (ARW), said his firm has monthly meetings with its divisions throughout the world to discuss what's going on in those individual markets. "We watch geopolitical events closely so we can take advantage of opportunities or play defense," Reilly said. "The economy is better than it has been. But it's still fragile." That is definitely true. And that's why you have to wonder how much longer the U.S. economic recovery can go on if Europe's problems worsen. This may not be another 2008. But we should have all hopefully learned by now that the notion of economic decoupling is as mythical as a unicorn. So executives can continue to be upbeat for now. But they may have to change their tune if global conditions don't improve in 2015.